Every picture tells a story, what's yours? This is your chance to add your voice, photographs and stories to help us capture the spirit and heritage of L8 - past, present and future. Do you have a photo or a story you would like to share? It could be your favourite place, friends, family members or special events connected to Liverpool 8. Your photographs, memories or even videos could be featured in the L8 Create space in the exhibition. Use the #L8create hashtag on twitter and instagram. E-mail us your stories and photographs to mystory@l8unseen.net for potential inclusion in the exhibition. Join the Liverpool 8 Old Photographs Facebook group. 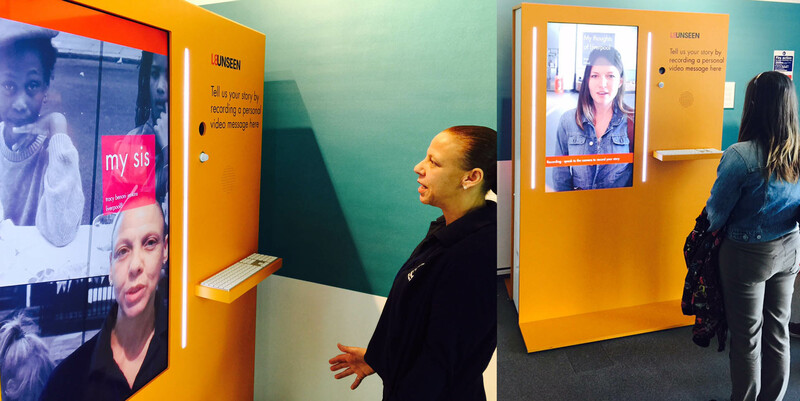 Use the video booth in the L8 Unseen exhibition to record your story. Come to our workshops and events. Or simply fill in the form below to submit your story directly. Please fill in the following form to submit your story directly.